Submitted by mark on Monday, March 12th, 2018 at 4:01 pm. 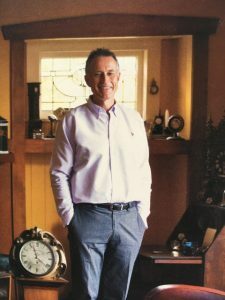 Currently on display at Auckland’s Alberton as part of the ‘Collector’s Cabinet’ series, is a fascinating selection of clocks, watches, timepieces, watchmakers tools and other collectibles belonging to horologist and historian Terry Sutcliffe (pictured). 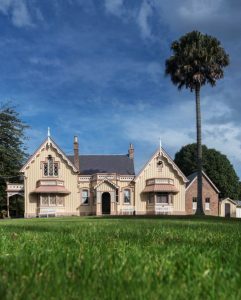 Part of a collection of over 100 items, usually on display in his living room and in a purpose-built private museum on his property, the selection dating from the 19th and 20th centuries, includes pocket watches with New Zealand inscribed dials, military and railway watches, stands, cases, keys and intricate tools. A marine chronometer salvaged from one of Auckland’s best-known shipwrecks, the SS Wiltshire – the steamship that hit rocks on Great Barrier Island in May 1922 – also features. “You never have a full collection – there’s always more to find,” says Terry. 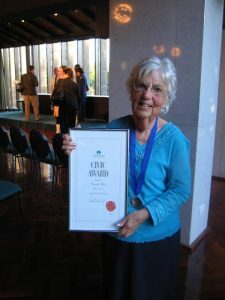 Currently researching early watch making and retailing in New Zealand, Terry is keen to hear from members of the public with any connections to this industry and is seeking timepieces, branded watch keys, boxes, old shop signage, business cards, photographs and papers to trace this history. To learn more about the collection come to a talk on Sunday 4 March at 1.30pm. This will be an informal chat followed by a Q&A and tea. Bring along your own timepiece for appraisal and share its story. Free with entry (adults $10, children and Heritage New Zealand members free). No booking required. Terry’s clocks will be on display until 18 April 2018.